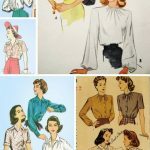 This tutorial for DIY Simple Peter Pan Collar is made to accompany my DIY 1950’s Inspired Jacket. Keep in mind that this jacket was made from fleece, so it didn’t require lining the way most materials do. 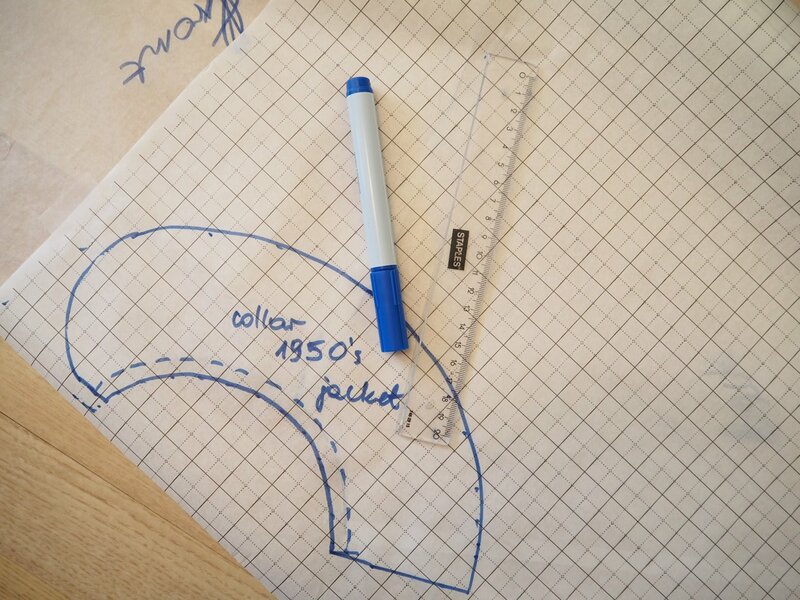 This particular collar is cut on the fold of the fabric, so you will draft only one half of the collar. Put the front and back bodice pieces together by matching up the shoulder seams (remember to take the seam allowance into consideration). The neckline of your bodice will always dictate the shape of your collar, so make sure the neckline is even. 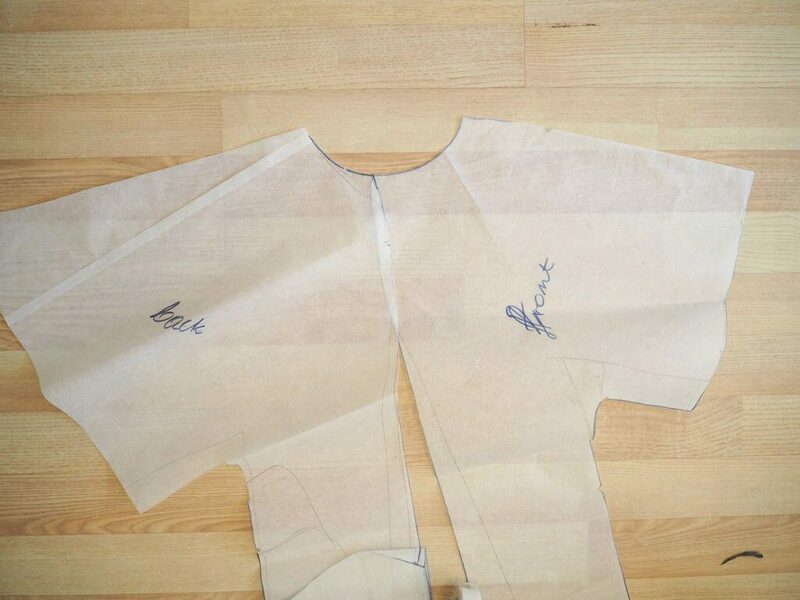 In order to get a well-drafted collar, secure your pieces in place so that they don’t move around. Trace the inner neckline. 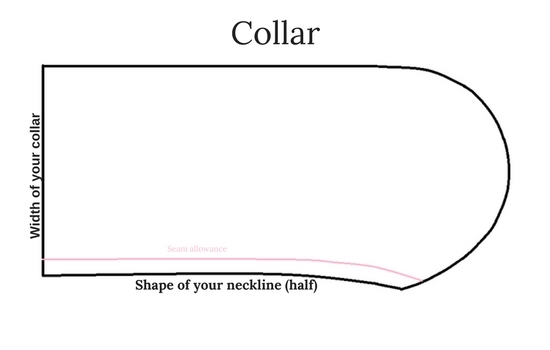 That is the basic shape of your collar. Add seam allowance. Consider how wide would you like your collar to be. I made mine 10 cm wide plus 0,5 cm for seam allowance on the inner neckline. 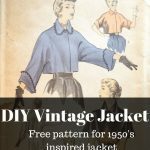 The original 1950’s Inspired Jacket was made from fleece and didn’t require any lining, therefore I didn’t have to add seam allowance on the outer edge. Draw points (in my case 10,5 cm) away from the neckline and then connect the points. Your collar is almost ready. This collar is nicely curved at the end, so go ahead and draw the curve. 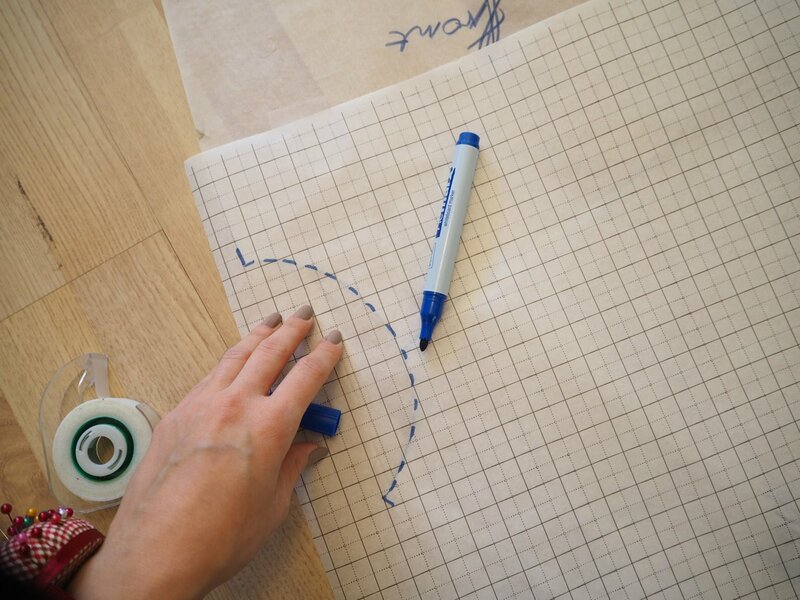 You can use French curve or just draw it by hand if you feel confident. 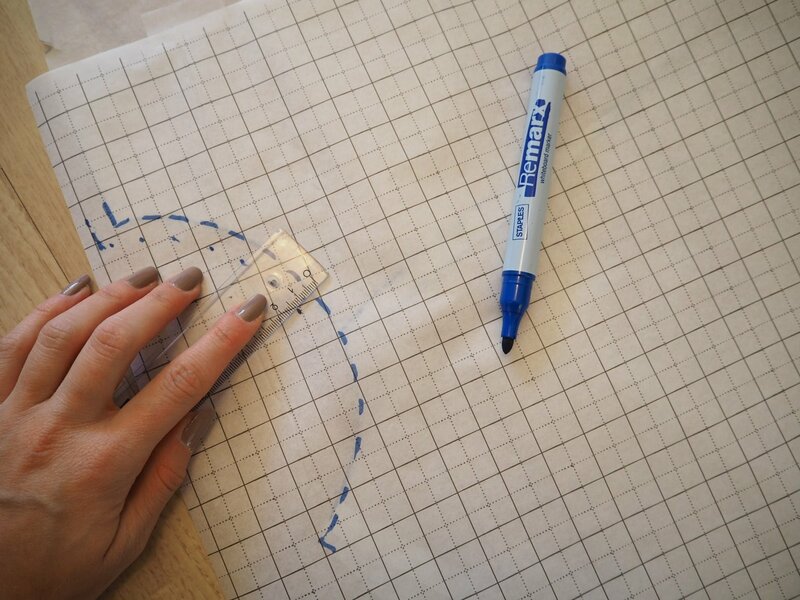 Once you have your pattern, cut out your collar on the fold of your fabric. Put the collar and jacket right sides together. 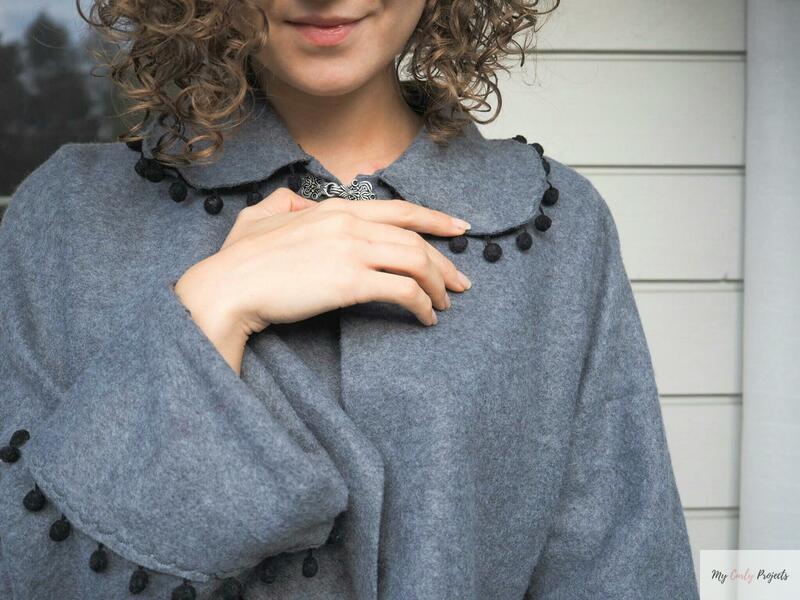 Pin the collar to the neckline of your jacket. Sew in place. Trim down the seam allowances. Iron the seams towards the jacket. 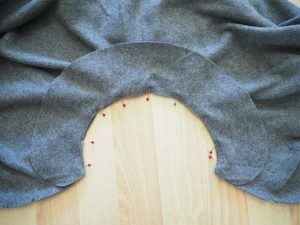 Sew the seam allowances by hand to the back of the jacket or understitch. This prevents them from shifting. If you decide to make the 1950’s Inspired Jacket the one last step to take is to attach a pompom fringe to your collar. I did it by using scallop stitch on my sewing machine. There you go! 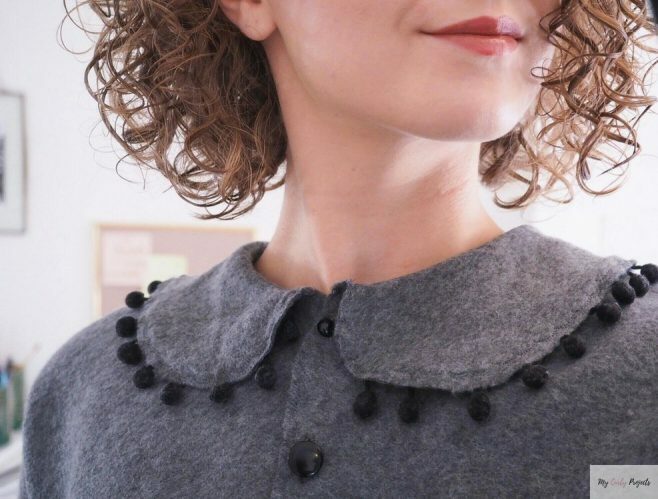 You’ve made your own DIY Simple Peter Pan Collar! 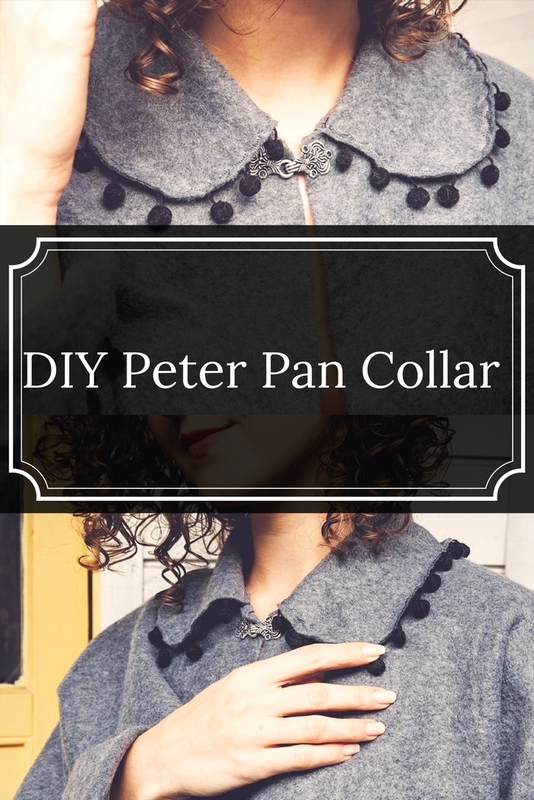 Let me know in the comments below if you made your own Peter Pan Collar! P.S. Stay tuned for a more in-depth tutorial on how to make a collar for any project you desire to make! This tutorial was based on the method I’ve learned from an amazing book called “Gertie’s New Book For Better Sewing” that I wholeheartedly recommend for every person interested in vintage sewing!